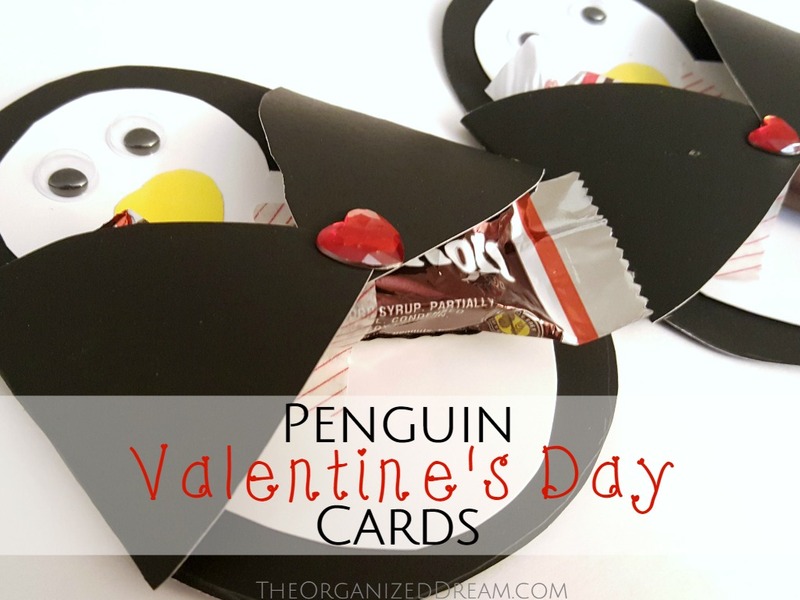 It's almost that time to start handing out those Valentine's Day cards in school and these are the perfect way to go when you want to do something other than those typical boxes of Valentines you buy at the local pharmacy. I came across these adorable little critters while flipping though this month's Parents magazine. I knew that we had to do these. They are just too stinking cute! 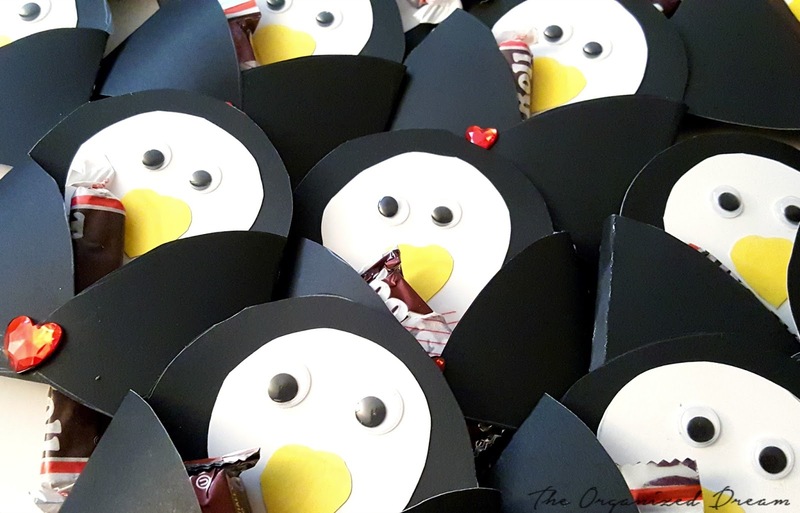 There is a template that you will need to download and print in order to create these adorable penguins. All you have to do is register with Parents.com and you'll get the PDF and access to great things across their site. Download here. Cut out all of the pieces you will need. When cutting the beak, I used a heart stencil and they came out great! Glue the white onto the black. Glue on the beak and then the googly eyes. 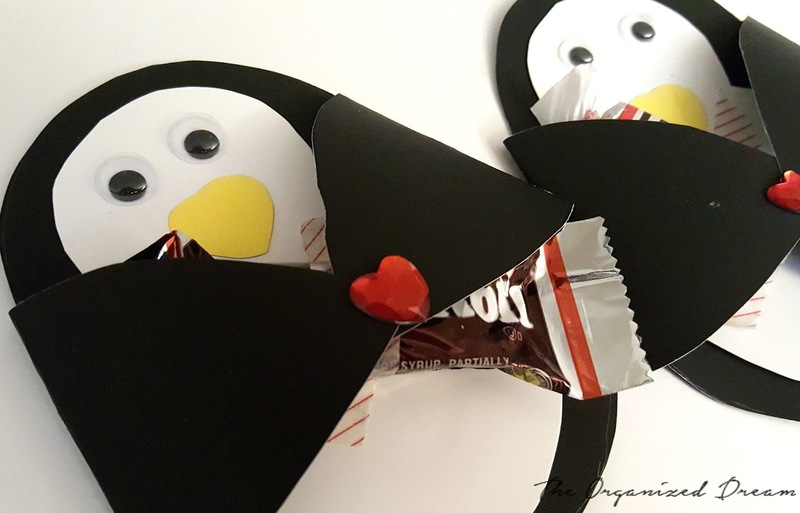 Apply the candy to the penguin's stomach with Washi Tape. Fold over his arms so they meet in the middle. Finally, keep his little fins together with a heart-shaped sticker. It took me about 3 hours to make these, but I made 30 of them so if you only plan on making a few, you'll be done in no time at all! 1. Use Tootsie brand candy. They are nut allergy free! The thing I like the most about these is that you don't have to use candy! You can replace it with a pencil, a sticker sheet or whatever you want! 2. I used poster board to make these. I think that they are sturdier than construction paper and look a lot better, too. Cardstock is another option. Total price to make these? Five bucks! These are ADORABLE!!! It helps that Tootsie Rolls are one of my favs! I co-host Everything Kids link & pin party. Your post would fit perfectly in our party. We'd love if you shared with us on Sunday at 10pm est. Hope to see you there!! These are the cutest ever! 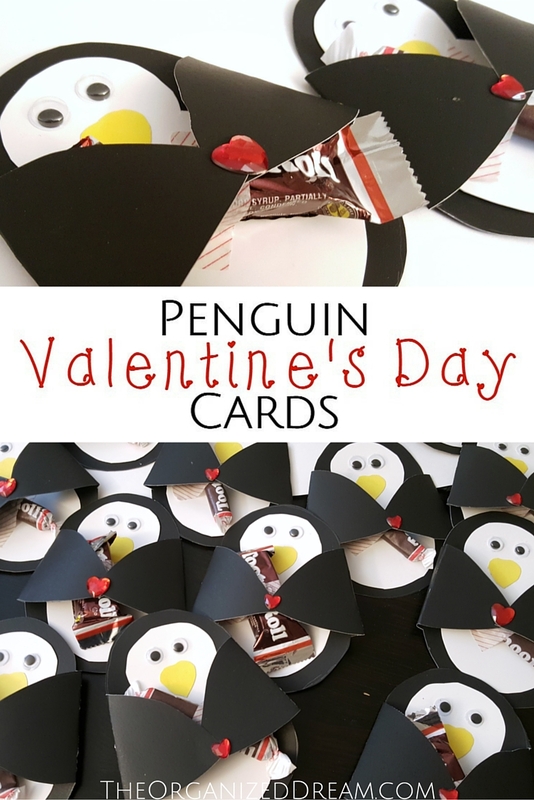 I almost wish I had little ones to make these for! I am pinning these right now to my Valentine's board! Thank you so much for sharing over at Celebrate Your Story! You can't help but smile when you look at these. So happy you shared them at Celebrate Your Story. How fun!! They are super cute and what a great deal! Thanks for sharing on My 2 Favorite Things on Thursday...Hope to see you again tomorrow!! Pinned!